The national unemployment rate, on a recent downward trend, continued to fall during December 2011. With the addition of 200,000 employed persons, the current rate of unemployment tumbled to 8.5 percent, as reported by the U.S. Bureau of Labor Statistics; a 0.6 percent decrease since August. All of gained employment took place in the transportation and warehousing, retail trade, manufacturing, health care, and mining sectors. Among the major demographic groups, the primary driver of the decrease in unemployment was the adult male group, falling to 8 percent in December. Unemployment rates for adult females (7.9 percent), teens (23.1 percent), whites (7.5 percent), blacks (15.8 percent), Hispanics (11 percent), and Asians (6.8 percent) showed no significant change. 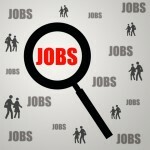 Also unchanged was the number of long-term unemployed workers (5.6 million), composing 42.5 percent of all unemployed. For the 12-month period between December 2010 and December 2011, nonfarm payroll increased by 1.6 million, private sector employed rose by 1.9 million, and government employment fell by 280,000. The job producing sectors for December 2011 were transportation and warehousing (50,000 jobs, especially in couriers and messengers), retail trade (28,000 jobs), leisure and hospitality (24,000 jobs), manufacturing employment (23,000 jobs), health care (23,000 jobs), and mining (7,000 jobs). Construction, professional and business services, government employment remained stagnant for the month. The average nonfarm pay rolled laborer worked a 34.4 hour workweek in December, up 0.1 hours over the month. Divisionally, the average manufacturing workweek increased to 40.5 hours, and the average workweek for production and nonsupervisory employees rose to 33.7 hours.